To keep your teeth and gums healthy, you brush and floss daily as well as see your dentist for cleanings. But did you know that there are lifestyle decisions that you can make that also affect your oral health? From poor sleep to smoking, there are ways that you are affected your mouth health that you may not be aware of. Learning more will help you to make the right decisions when it comes to your teeth and gums. A healthy diet is important for overall health, but did you know that your teeth are affected too? It is important to eat plenty of vegetables and fruit as well as starchy foods like pasta, potatoes, bread, etc, in wholegrain versions. Protein should also be included with fish, beans, meat, and eggs, along with some dairy. One should avoid fat and sugar if possible so that teeth and gums remain healthy. The vitamins and minerals provided in such foods assist with oral health. Limiting the amount of sugar you drink as well as eat is essential in preventing tooth decay. Drinks and foods we eat are high in sugar and can negatively affect the teeth and gums. The sugar sticks to the teeth and gums and creates bacteria. This bacteria then sits on the teeth is not properly cleaned and turns in to tooth decay. Sugary drinks such as soft drinks, alcohol, fizzy drinks, etc. Any smoker already knows that the choice to smoke is bad for one’s overall health. It also affects the teeth and gums. When you smoke, the teeth will become yellow and the risk of gum disease is increased. Smokers tend to face oral cancer in the future or have issues with their teeth due to gum disease. The best way to avoid any problem is to stop smoking altogether. If you play sports or have children that do, it is important to protect the teeth. Enjoying sports is part of many lifestyles and something that can be harmful to the teeth. When playing sports such as football or hockey, a mouthguard is recommended. With a mouthguard, the teeth are protected from impact if tackled or knocked during gameplay. Wearing a guard ensures the teeth are protected and not chipped or broken during impact. Discuss with your dentist what type of guard will work based on the sport you or your child plays. 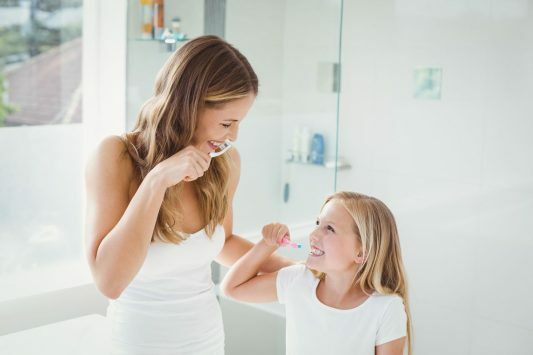 Overall, it is important to make good decisions when it comes to oral health. Eat a balanced diet and avoid sugary drinks and foods. Take care of your teeth by not smoking and wearing protective gear when playing impact sports. Contact us today to learn more about how you can make smart lifestyle decisions to have healthy teeth and gums.